POLSON – A $1 million upgrade is in the works for Finley Point State Park. 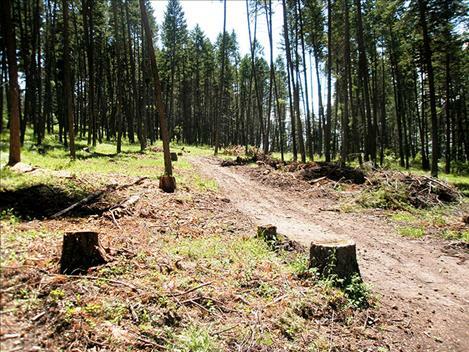 The project, which began in the spring with the removal of some trees and the replacement of two latrines, will result in removal of six of 16 RV spaces in the existing campground next to Flathead Lake. 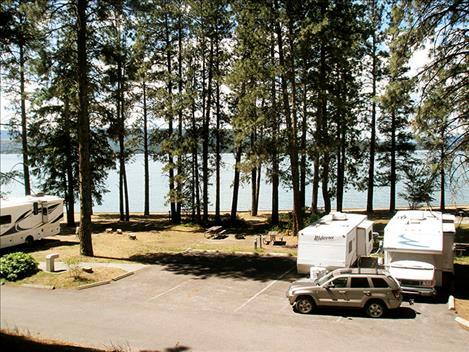 However, 12 new RV spots will be added in late September or October in a camping loop that will be located “up the hill” between the lake and the park entrance, said Dave Landstrom, regional state parks manager for Fish, Wildlife and Parks in Kalispell. The new RV spaces will include access to electricity, which should cut down on noise since generators won’t be needed. In addition, five tent sites will be created to go along with four that already exist in the park. The new RV and tent camping sites will be more traditional sites with vegetation in between them, he said. The project, which has been planned since 2011 or 2012, could also include two rental cabins if funds are available. Landstrom said bids for the project were recently received, and FWP plans to select the winner in the near future.